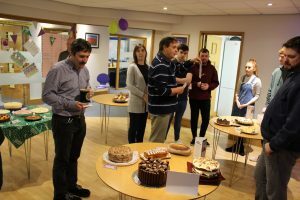 This year in support of Macmillan Cancer, NiSoft employees in our Belfast HQ took the opportunity to show their skills outside of the normal Software Development and Client Support day-to-day, by unleashing their baking skills in the annual NiSoft Charity Bake-off. 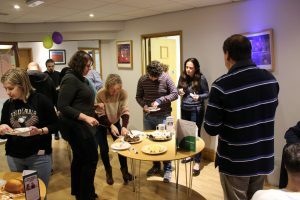 People were invited to act as either bakers, judges or both on the culinary delights in a peer reviewed calorie feast that did not disappoint. 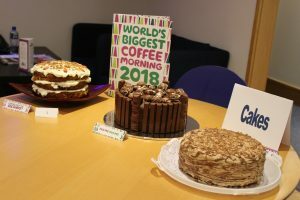 Each person donated money to Macmillan Cancer to either enter a cake or judge the results in 4 major categories, Cakes, Tray Bakes, Pies & Cheesecake and Cupcakes. 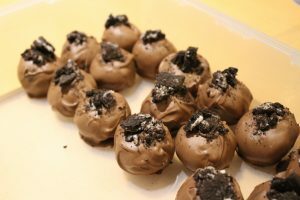 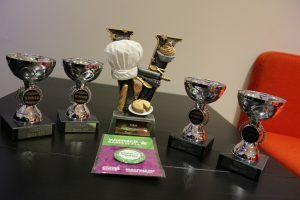 The quality and presentation of the entries made us think briefly about exiting the software business and entering the baking business, but thankfully when the sugar levels returned to normal we decided to stick to what we do best! 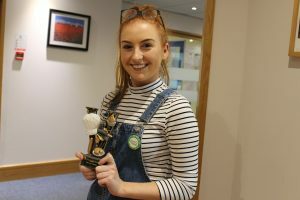 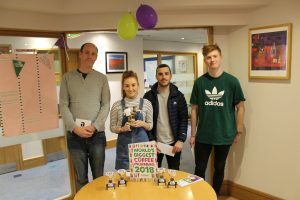 As with all major competitions, there can only be one overall winner and the 2018 NiSoft Bake Off Champion was crowned from our QA department, Jess Gibson. 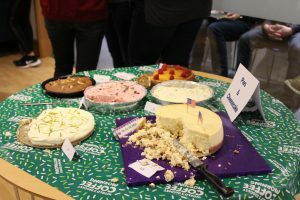 Congratulations to Jess, and to everyone who took part and donated to Macmillan, a very big thankyou!